How can companies make more than a billion dollars selling a service that almost no one wants? By signing up millions of members who don't know that they're becoming members. 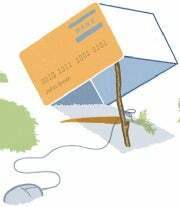 A survey by credit card company Visa estimates that nearly three in ten Americans have been stung by a subscription trap. Here's how it works: You buy airline tickets or flowers or a digital camera at a site like Orbitz, US Airways, or FTD--and just when you think you've completed your transaction, you get an offer for cash back or free shipping. So you click the button, and a screen appears asking for your e-mail address in exchange for that attractive little benefit. It seems like a small price to pay, so you comply and then finish your purchase. A pop-up offer at the point of sale can look like a no-strings-attached extra benefit. Three months later, as you review your credit card statement, you discover that you've been dunned for $50 in membership dues by some company you've never heard of, for a club that you never knew you belonged to and that you've never received any benefit from. (Even when the offer promises something like cash back or free shipping, those promises often apply to your next purchase, not the one you just completed). Unfortunately, getting your money back isn't easy. According to some angry consumers, getting a full refund required writing a letter (the old fashion way) and waiting months to receive a credit card chargeback. In 2009, the U.S. Senate Commerce, Science and Transportation Committee, headed by Jay Rockefeller (D-West Virginia), began an investigation of the industry (the investigation is ongoing). According to the committee, the three biggest players in this business, Affinion Group, Vertrue, and Webloyalty--all based in Norwalk, Connecticut--have earned (at a conservative estimate) $1.4 billion in revenue over the past 10 years. They shared more than half of that money with their hundreds of Website partners, including such widely respected companies as Avon, Barnes & Noble, Budget, Buy.com, Classmates.com, GMAC Mortgage, MovieTickets.com, Priceline, Shutterfly, Staples, and Ticketmaster. In return for their cut of the action, these big-name companies commonly pass consumers' credit card information to the posttransaction marketing firm--unbeknownst to many of the affected consumers. At one site, all you have to do to trigger the handoff is to type your e-mail address: Even if you never click a Submit button or press Enter on your keyboard, your billing data goes flying from one company to another. Within the posttransaction marketing business, such an exchange is called a data pass. Though some consumers consider it a betrayal of their trust, it is certainly lucrative. The Senate Commerce Committee's interim report (PDF) lists Comcast, Orbitz.com, and Priceline.com (which operates Fandango) among 19 retailers that have made more than $10 million each from partnerships with the three marketing businesses over the past 10 years. One merchant, United Online, the parent company of Classmates.com, has earned $70 million via Affinion, Vertrue, and Webloyalty, according to Senate investigators. Shutterfly has made $6 million over past 10 years from these partnerships, the report says. Many observers believe posttransaction marketing is a business model built on deception. David Murray, a Massachusetts hospital executive, inadvertently enrolled in Affinion's $12-a-month LiveWell health-related membership program when he made a purchase at 1-800Flowers. He concedes he erred by clicking on a '$15 Cash Back' button, but he insists that the offer was presented in a "deceitful" way. "The order confirmation stated 'Your purchase is complete. 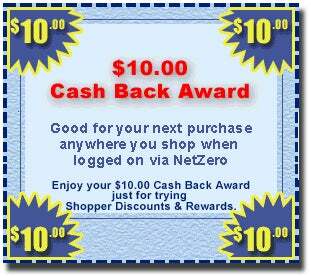 Click here to claim $15.00 Cash Back on this purchase!' This is not true. 1-800Flowers isn‘t offering $15 back, LiveWell is. And who the hell is LiveWell?" Murray says. Murray complains that the data-pass process obscured the fact that he was actually making a separate new purchase of a LiveWell membership. "I have an old saying: ‘It may be legal, but is it moral?' Well, I don‘t think it‘s legal. And I know it wasn‘t moral. Is this really something 1-800Flowers wanted to be associated with?" Apparently not. Company spokesperson, Joseph Pititto, says, "We reviewed the programs and notified the partner we are not renewing our contract." He says that fewer than 2 percent of customers complained to 1-800Flowers about Affinion membership programs. Senator Rockefeller is among the most outspoken critics of posttransaction marketing. "These companies use aggressive sales tactics intentionally designed to mislead online shoppers," he says. His committee's investigation has put the industry's Big Three firms under a microscope. "There are more than 4 million American consumers whose credit cards are being charged by mysterious membership clubs after shopping online, and most of these 4 million consumers don't even know it's happening," Rockefeller claims. Officials for Affinion, Vertrue, and Webloyalty all bristle at the charge that they mislead customers. In the past, each has claimed that its offers are clear and their details are conspicuous. Their policy of obtaining your credit card data from a merchant that you just finished doing business with isn't sneaky, they argue: It's a convenience to you. 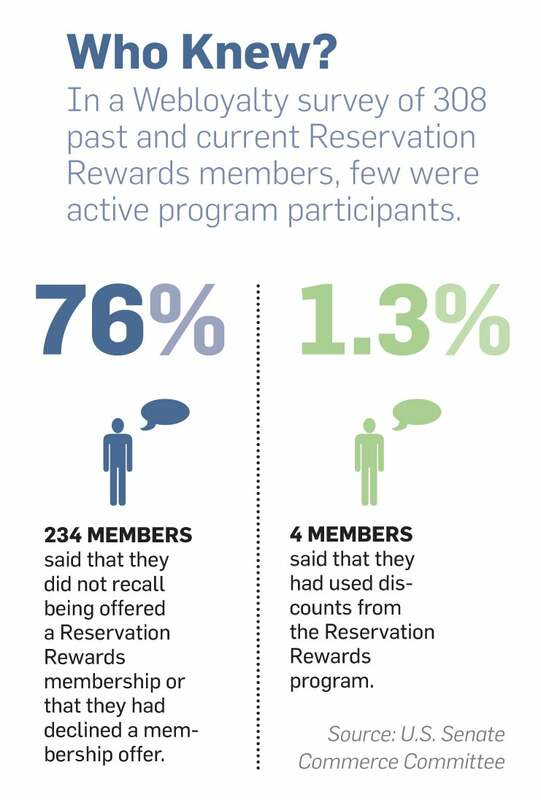 Affinion, which runs more than two dozen membership programs including Buyers Advantage, Travelers Advantage, and Identity Secure, did not respond directly to Rockefeller's comments, but company spokesperson James Hart says, "Affinion is proud of its long-standing history of employing the best marketing practices in the industry...our programs provide tremendous value for millions of consumers worldwide." According to Hart, Affinion's marketing terms are explicit and require consumers to give "informed consent" before they join one of the company's membership programs. Online marketing expert Ben Edelman, an assistant professor at Harvard Business School who testified at the Senate Commerce Committee hearing last year, believes that posttransaction marketing uses "bait and switch" sales techniques and is deliberately deceptive. "Most consumers have no idea they're even enrolled in these programs or how a third party got hold of their credit card number," Edelman says.